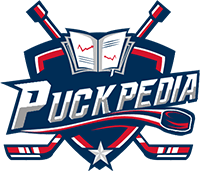 PuckPedia is the Ultimate Source for Hockey Fans and Professionals. It has Salary Cap information, player’s salaries, Basic & Advanced Stats, Draft and Transaction history, news feeds, game previews, scores, and injury news. PuckPedia is the home of the Agent Leader-Board, showing all contracts by Agent. Get all your hockey information and news in one place! It’s the one source for all those who seek hockey information.